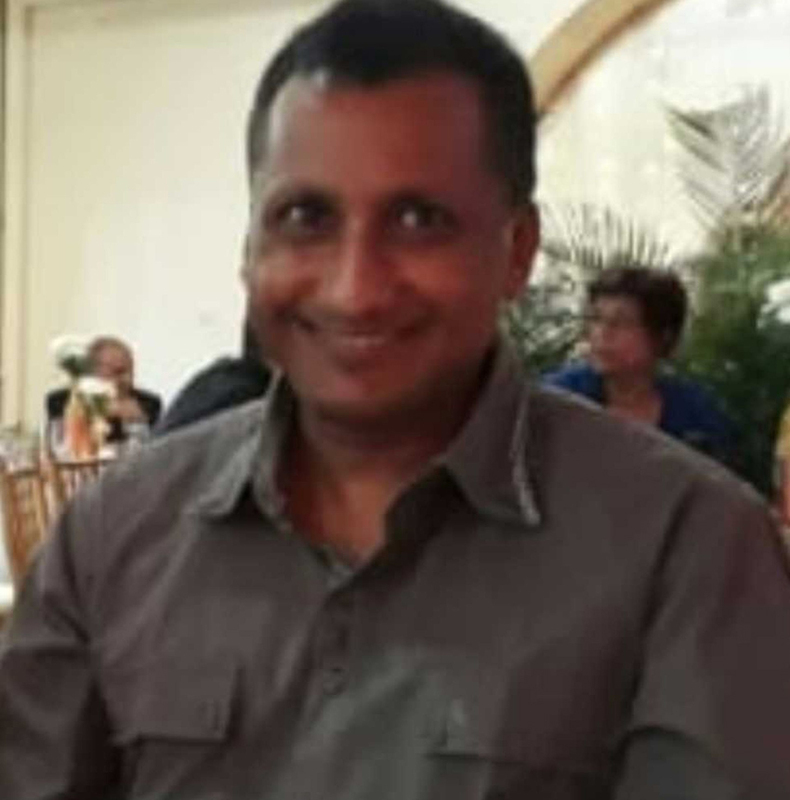 (Trinidad Guardian) It has been 42 days since Gan­gad­har Hanooman, 49, has been miss­ing and rel­a­tives in re­new­ing their calls for help in find­ing him, have al­so called on Po­lice Com­mis­sion­er Gary Grif­fith for a “per­son­al” in­ter­ven­tion in the in­ves­ti­ga­tions sur­round­ing the case. Hanooman of Roys­to­nia, Cou­va, was last seen on Sep­tem­ber 1 at about 6.30 pm near a mi­ni mart close to his home in Roys­to­nia in Cou­va. His car—a sil­ver Nis­san B14—was found aban­doned near a man­grove ad­ja­cent to two veg­etable gar­dens in Fe­lic­i­ty, Ch­agua­nas two days af­ter on Sep­tem­ber 3. 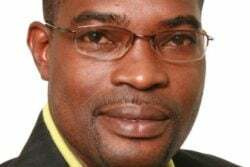 The car was found by a search par­ty or­gan­ised by fam­i­ly mem­bers who act­ed on spir­i­tu­al guid­ance giv­en to them by a pun­dit (a Hin­du leader). 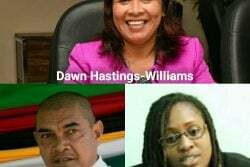 Speak­ing with the T&T Guardian, Gan­gad­har’s wife, who was too scared to give her name or be pho­tographed, said she re­mains hope­ful that her hus­band will re­turn to her. 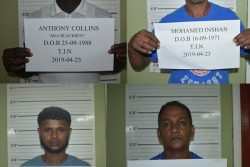 She be­lieves that some­thing ter­ri­bly went wrong that day as she was told “strange things” maybe “clues,” “He went by a broth­er of his and I had called him and told him to stop and buy some veg­eta­bles when he was com­ing home. About 8.30 pm I called him and asked him where he was. “Then af­ter a while, I called him and asked him where he was and he told me to call his broth­er that his car get stick up,” she added. An­oth­er rel­a­tive fur­ther ex­plained that many times be­fore in con­ver­sa­tion, Gan­gad­har, when talk­ing about crimes would not say the word “hi­jack” but would say “stick up” which she said meant some­one be­ing hi­jacked or hi­jack­ing. “So…think­ing about it that could have been an­oth­er clue that he was try­ing to give, maybe?” the rel­a­tive said. 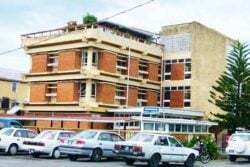 It is said that dur­ing a call to Gan­gad­har’s cell­phone on one oc­ca­sion that night, male voic­es were heard in the back­ground as though a quar­rel was go­ing on at the time. There was al­so mu­sic heard play­ing be­lieved to be com­ing from the car’s ra­dio. In that call, Gan­gad­har did not say any­thing. The phone sud­den­ly hung up and calls af­ter that went straight to the voice mail record­ing. Gan­gad­har’s car, which was sub­se­quent­ly im­pound­ed at the Ch­agua­nas Po­lice Sta­tion, was re­cent­ly re­leased to the fam­i­ly and is now parked up in Gan­gad­har’s back­yard. 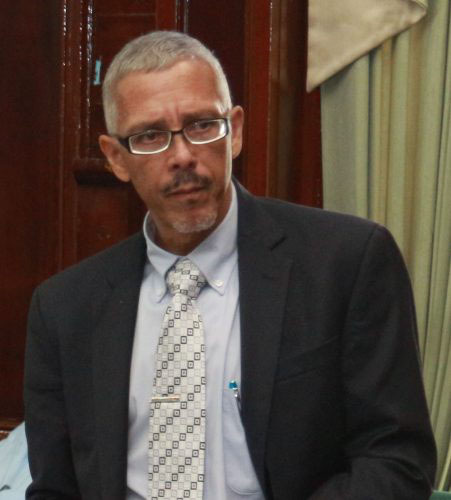 With sad­ness in her eyes, oc­ca­sion­al­ly “drift­ing” in her thoughts, Gan­gad­har’s wife for eight years stood next to her hus­band’s car in dis­may dur­ing an in­ter­view with the T&T Guardian. An­oth­er rel­a­tive said she strong­ly be­lieves that in­ves­ti­gat­ing of­fi­cers at the An­ti-Kid­nap­ping Squad could do more in their at­tempts to find Gan­gad­har. “He went miss­ing two days be­fore Na­tal­ie Pol­lon­ais and they were able to use all the tech­nol­o­gy to find her, why they couldn’t use that same pro­ce­dure to find him?” the rel­a­tive said. Any­one with in­for­ma­tion on his where­abouts or oth­er in­for­ma­tion con­cern­ing his dis­ap­pear­ance can con­tact the po­lice at 555, 800 TIPS or the near­est po­lice sta­tion.